Karndean is the world's largest manufacturer of luxurious designer floor coverings. Karndean floor coverings are designed to enhance any room whether it's your home, your office or your business from its natural appearance, feel and simply for its practical benefits. Karndean products range from wooden effect planks to ceramic tiles in a number of high quality range sincluding; Van Gogh, Knight-Tile, Michelangelo, Opus, Art-Select and Da Vinci. Both affordable and versatile, we offer a wide range of colours, sizes, effects and patterns allowing you to design a floor covering unique to your home, office and/or business. 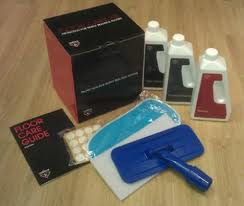 We also offer Karndean Cleaning Kits which are available in store. The kits are a simple and easy to apply and are designed to enhance the beauty and natural look of your floor. 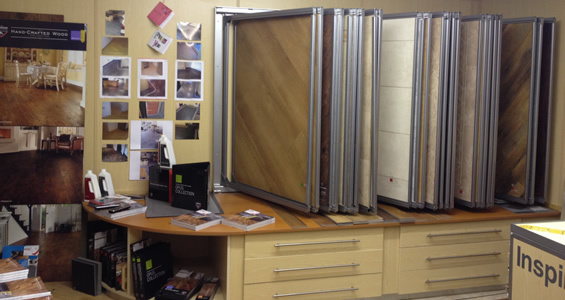 For a free Karndean Brochure please contact us today!